Why Was This Website Seized? The original website, Dude Gadgets, with a website URL of: https://www.dudegadgets.com, opened in April of 2016 to viral acclaim and much fanfare. Unfortunately, such success also drew scammers and fraudsters who tried to tarnish Dude Gadget's impeccable reputation and brand. On October 26 of 2016, a Singaporean national named Wenjie Chen and his associates at Bicora Limited registered the domain DudeSgadget.com, with a near-exact copy of the original Dude Gadgets logo, branding, and site design. This was all done in an effort to begin an illegal operation to trick Dude Gadgets customers and potential customers into giving their payment information for them to steal. A cursory look at TrustPilot shows that these scammers have 96% 1-Star Reviews. If you read the reviews, it tells the same story. These fraudsters don't even bother to ship the promised products out, and in an effort to keep the scam running for longer, they would sometimes ship completely empty packages or random garbage inside just so they would have tracking numbers on file for when PayPal and their credit card processors ask them why there's so many chargebacks. 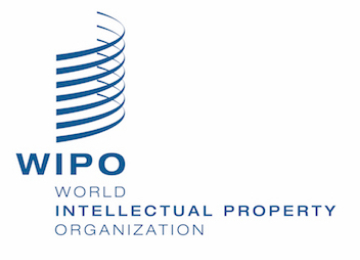 As a result of them hurting our brand name and literally having hundreds of their customers coming to us angry and begging us to help them after they were defrauded by the fake Dude Gadgets site, we filed a mini-suit / UDRP with the World Intellectual Property Organization (WIPO) with Case #D2017-2363 and handily won the case -- which is why the domain has finally been returned to the REAL Dude Gadgets and why you're reading this now. We here at the REAL Dude Gadgets are committed to excellence, and we have prepared this page to specifically help customers who were defrauded by these serial criminals. We want to show you how to get your money back and and hurt these fraudsters where it hurts -- their wallet. That's because without your help -- these criminals will continue doing the same thing to other brands, unless a wave of people stand up and take action. By standing up to these criminals and telling your story in a dispute, PayPal and their merchant processors will be forced to address the fact that they are committing fraud on a massive scale and freeze their money. In this section, we're going to go over how to get your money back simply and easily. If you didn't receive anything yet and want your money back, click on the BLUE button to the LEFT (ABOVE if you're on mobile) that says Scenario 1. If you received a counterfeit shipment from them and want your money back, click on the GREEN button to the RIGHT (BELOW if you're on mobile) that says Scenario 2. After all the pain and suffering caused by these criminals using our brand and name illegally, we knew we had to do our part and allocate dedicated resources to help all the victims of this affair. If you're confused at all about what to do at any particular part of this process, feel free to reach out to us and our staff will walk you through the entire process step by step. You can click the button below to get in touch with us and we will ensure that your problem is resolved. In addition to this, we've allocated a special fund to help compensate the victims of this crime. Simply follow through one of our guides on filing a dispute with PayPal or your credit card, and then click the button above and submit a screenshot of the dispute and your original order, and we'll give you a completely free $15 Gift Card for doing your part in bringing down this criminal enterprise.